As we continue to produce successful international passers, Sultan Review Group proudly congratulates the students who victoriously conquered the NPTE. These students were able to achieve their coveted licenses despite the hurdles they encounter and ultimately proved that with passion and perfect review program, anything is possible. 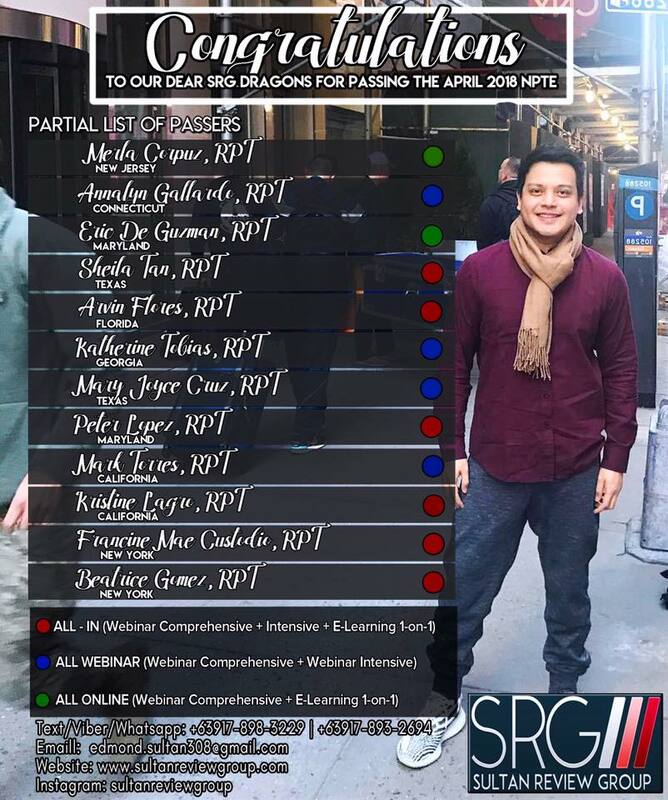 As we continue to redefine the review industry, the SRG Worldwide Comprehensive Worldwide Webinar will begin its tenth season this May 21, one of the programs that produced these successful passers. Know more about the most innovative and most comprehensive review programs of the company. Be part of the growing community of successful SRG dragons.